Fans of detective stories can rest assured that the "implacable man hunter of The Metropolitan Police" always got his man, and sent the evil doer to "the chair." 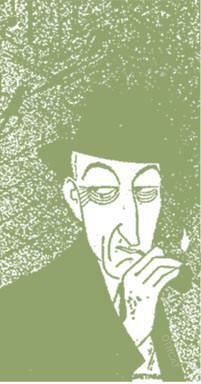 The character of Inspector Hearthstone was introduced to CBS's long running series, Mystery Theatre, in the February 1949. Indeed, by fall of 1951, Mystery Theatre became Inspector Hearthstone of the Death Squad. 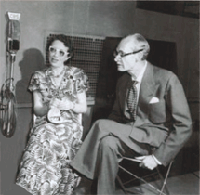 At the time, Mystery Theatre was being produced by Frank and Anne Hummert, perhaps the most successful and prolific radio drama production team of the era. Mystery Theatre was very different from the melodramas that brought the Hummert's their usual success, (but the show became more melodramatic in their care!) Critics at the time were less than appreciative, in fact reviewer John Crosby told readers that there Tuesday nights would be better spent with Milton Berle on the television! Great hope was placed in the distinguished British Actor, Alfred Shirley. Shirley had previously played Inspector Watson to John Stanley's Sherlock Holmes. Indeed, the Inspector could be held up as a prototypical detective in the tradition of Hercule Poirot or even Holmes himself. By 1951 the show was suffering from a confusion of competition. ABC Radio had their own Mystery Theater, featuring "Inspector Mark Saber of the Homicide Squad". There were even a Mystery Theater and a Homicide Squad show on the TV. Fans of detective stories can rest assured that the "implacable man hunter of The Metropolitan Police" always got his man, and sent the evil doer to "the chair." Some recordings in this rare collection are also included in the Rarities: Adventure and Detective Collection and is in the extensive Hummert Radio Factory Collection. Called the parents of soap opera, Anne and Frank Hummert also created Betty and Bob, Front Page Farrell, Mr. Keen Tracer of Lost Persons, Ma Perkins, Just Plain Bill, Mary Noble Backstage Wife, Young Widder Brown, Mr. Chameleon, Stella Dallas, Manhattan Merry Go Round, Lora Lawton, The American Melody Hour, Hearthstone of the Death Squad, Lorenzo Jones, Nona From Nowhere, Our Gal Sunday, Inspector Thorne, Romance of Helen Trent, and more. Be the first to comment on "Hearthstone of the Death Squad"